Sisu Painting, Inc. is dedicated to providing the highest level of interior painting services and customer service that the industry has to offer. We are committed to providing a timely estimate, returning all phone calls and emails, showing up on time and delivering an exceptional paint job. With our interior service, we offer a complimentary color consultation (a $150 value), free sample quarts and drawdowns (paint samples “drawn down” on card stock) with each contract to help you achieve your goals of choosing the correct color. When the business started years ago, Sisu was 100% committed to raising the bar in the industry and numerous customer reviews are proof that we are succeeding. 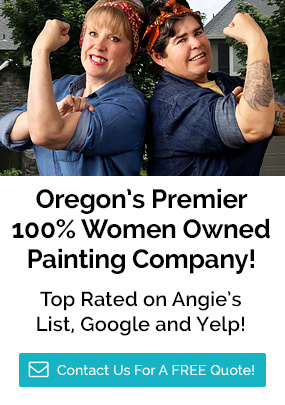 Sisu Painting has achieved the highest ratings on Angie’s List, Yelp, Houzz and Google in the greater Portland area. Achieving the highest quality paint job comes at a price, mostly due to the cost of labor. In fact, the biggest expense of any paint job is the cost of labor. At Sisu Painting, Inc. we hire the best painters in the area, provide a livable wage and invest in our teams by providing the highest level of training in town. Sisu Painting, Inc. has a very specific way of painting and providing customer service and we provide this service, consistently on every job. All the prep work in the world won’t make a difference if the job is finished using shoddy materials. Sure, we could skimp on product, but it’s our experience that our customers appreciate a long lasting paint job. Unlike builder’s grade and other low quality paints, all of our exterior and interior paint products carry a minimum 25 year manufacturer warranty. In most cases, we offer a paint product with a lifetime manufacturer warranty. We also use the best caulks, primers and sundries - including brushes, rollers and tape - the market has to offer. While cheap knockoffs save cost up front, in the long run, going with the cheaper brand will cost the consumer in quality and longevity of your paint job. At Sisu Painting, Inc. we are determined to raise the bar on customer service! Here are just a few services that you can expect when working with Sisu Painting, Inc.
• Draw downs (large samples of paint on card stock) for final color approval. "Excellent work. Nancy was able to come by and provided a prompt bid. Eric did wonderful work and was very easy to work with. Nancy came by and check in on progress and helped make some adjustments to the color match..."
Sisu Painting, Inc. offers written warranties on our workmanship for each of our projects. You don’t have to worry about problems with your paint job because we are here for you! The quality products that we provide are backed by manufacturer warranties. We will provide you with a copy of our warranty to preview before you accept our bid. Watch our short video and learn how Sisu Painting is dedicated to nothing less than a perfect paint job for your home or commercial space.